The Cape Verde Islands are found in the waters of the Atlantic Ocean to the west of Senegal, West Africa. Beautiful white sand beaches, palm trees and relaxed seaside villages are what make Cape Verde so special. Those who book sun holidays with Thomson on this group of islands get to experience luxurious leisure in the paradise of their dreams. This city market is a true cultural experience and a fun place to shop. 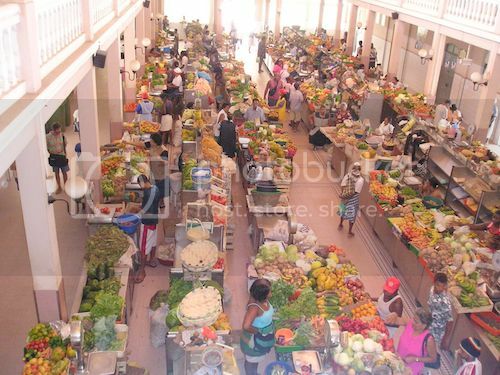 With an entrance on both ends, the rectangular building has fresh produce and herbs in overflowing stalls down the middle of the first floor. Purchasing food for a picnic is easy. Vendors are polite and not overpowering when potential buyers say, "No, thank you!" On the upper levels and side galleries are health food shops, beauty shops and more. The Mercado Principal de Mindelo is an excellent spot to get to know the locals and taste the fresh flavours of the islands. 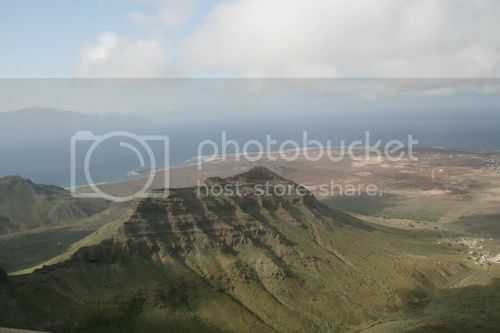 The tallest peak on the islands, this lovely mountain is covered on top with tropical verdure. An ancient and winding cobblestone road leads up the mountain. The narrow road is worth navigating to reach the summit. Climbers feel like they are on top of the world when they pause and look out over the incredible panorama vistas of the island, the city of Mindelo and the waters beyond. On very clear days, people can see the distant uninhabited islands. Experienced drivers and guides take visitors up Monte Verde for reasonable rates. Unfortunately, sometimes the summit is engulfed in cloud cover. 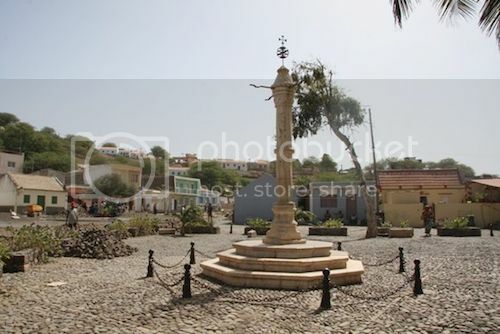 This plaza in the heart of the old village, Cidade Vilha, is where slaves used to be sold. From a centre for slave trading, a settlement began. A church was built and roadways were laid. 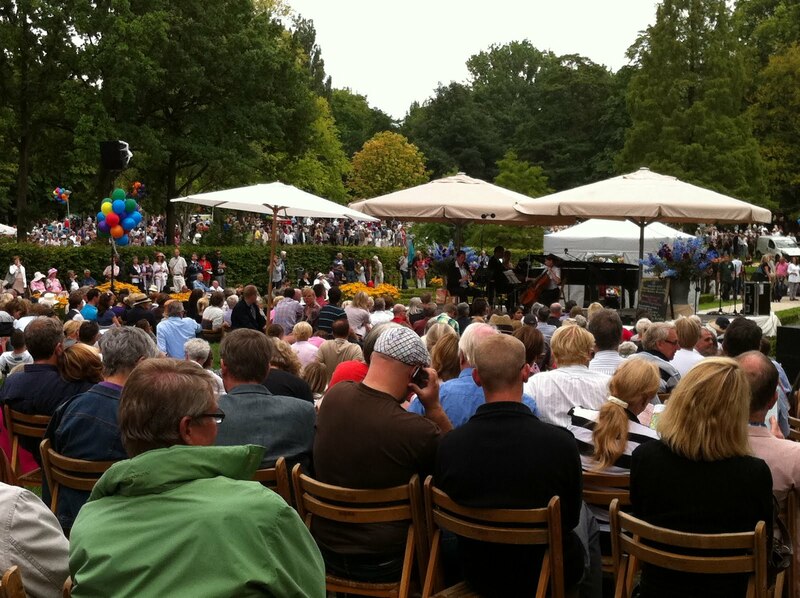 Today the plaza is a pleasant place with cafes and restaurants. People can dine or sip a drink outdoors enjoying the sound of the waves coming in on the nearby shore. The castle fortress is near for those who would like to explore more of the local history. From the castle are amazing views of the area. From May to October, sea turtles of various species come up on the beaches of Cape Verde to lay their eggs. Local guides and workers at research facilities on the islands can lead visitors to places where they can see these fascinating creatures. 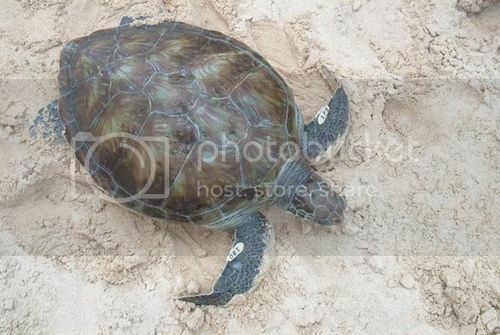 Then, visitors can tour hatcheries and see the baby turtles from August to December. The front desks at the hotels are good places to inquire where to find guides to see the turtles and where to find hatcheries. Sometimes guests can help put baby turtles into the sea. A picturesque beach with soft white sands, the waters off the shore are crystal clear and change in hue as the sunlight moves across the sky. Many palm trees offer shade for those on the beach. The water with moderate waves is warm for swimming. The sheltered cove is part of a fishing harbour where the locals come in with fresh fish. 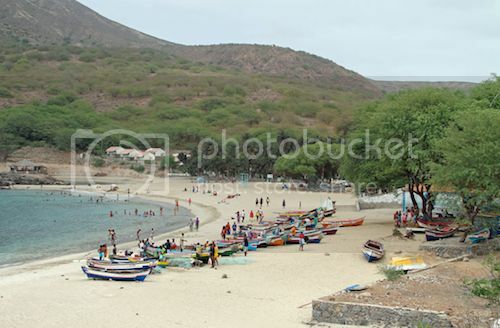 The beach is filled on the weekends with locals and guests enjoying the beach.